Baked Matcha Lemon Glazed Donuts are like taking a bite of spring with the earthy taste of the green tea topped with a zesty citrus glaze. 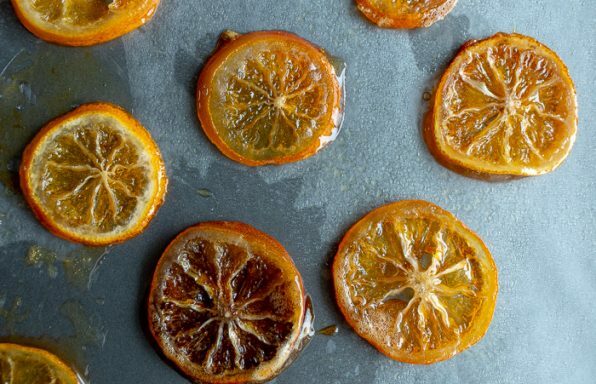 You are going to love this fun twist on an old favorite. 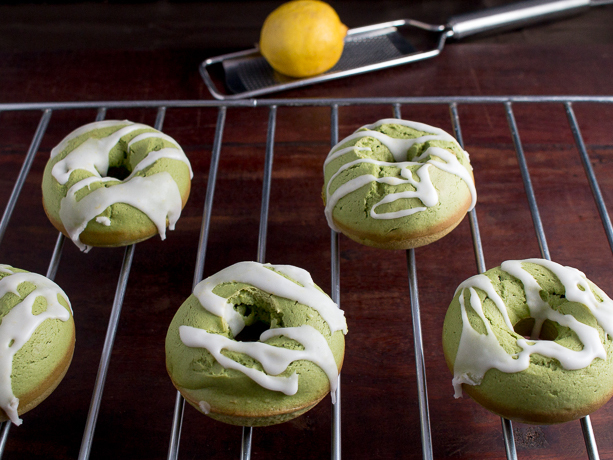 Baked Matcha Lemon Glazed Donuts are lower in fat as they are not fried but baked. Matcha green tea is rich in anti-oxidants, minerals and has mood boosting qualities. 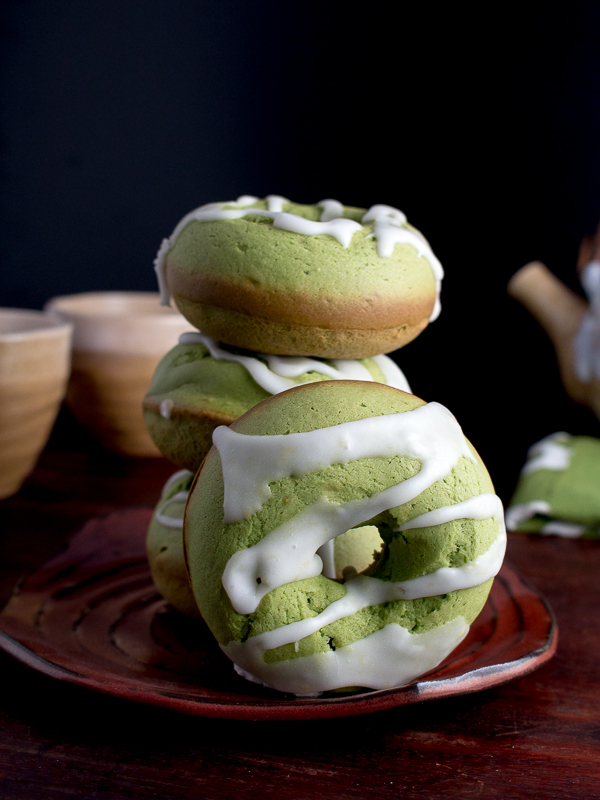 If the matcha does not boost your mood, these baked matcha lemon glazed donuts sure will. 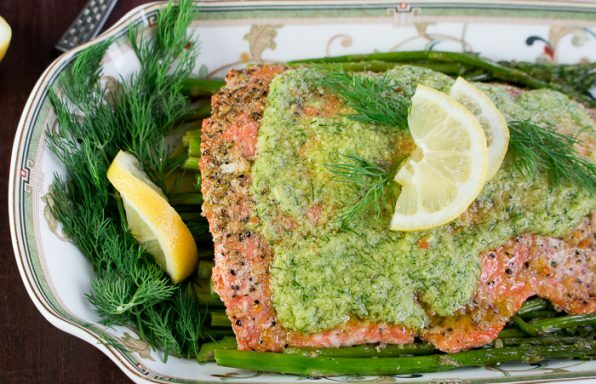 When you take your first bite, you will first taste the delicate sweetness and tartness of the lemon zest glaze and then followed with the complex earthy flavors of the matcha. It really is a lovely combination. For those of you who are not real matcha fans or don’t know if you will like it, this combination is very light and balanced. Did you know that springtime is harvest time for matcha? Matcha is green tea that has been finely ground to a powder. The spring harvest time for good matcha is between May to early June. Great matcha is sweet, without bitterness and is a brilliant bright green color. The reason why really good matcha is brilliant green is because of the harvesting process. During the early parts of spring, the plants are covered to make it dark to slow down the rate of photosynthesis. The purpose of this is to help elevate the amino acid level and this is responsible for that delicious earthy full flavored matcha. Then the leaves are harvested, steamed, cooled and dried and then ground to a powder. Enjoying the springtime tradition of drinking and cooking with matcha is like visiting Japan without ever leaving the comfort of your home. If you cannot find matcha at your market, you can purchase online right to your home. If you are looking to purchase matcha but are on the fence…here are some recipes to hopefully cinch the deal. Magic Matcha bars, Matcha Banana Strawberry Ice Cream Cups, and our new recipe Matcha Red Bean Balls that will be coming soon to a monitor near you. 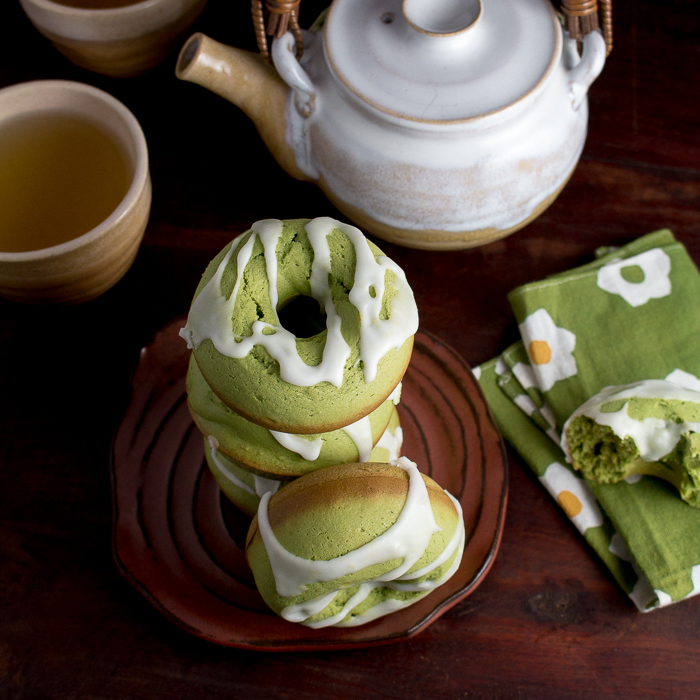 For this Baked Matcha Lemon Glazed Donuts you do not need to use the prime matcha but the better the matcha the brighter the green hue and the more sweeter the taste. Happy Hanami (Sakura Cherry Blossom viewing season)! The sakura buds are now starting to show. In some of the warmer locations in Japan, the cherry blossoms are beginning to bloom. Late March to April, depending on the weather, is the prime-viewing season. If you are lucky enough to be in Japan at this time of the year, then bring a blanket or mat to sit on and a few Baked Matcha Lemon Glazed Donuts and enjoy the view. However, you do not need to hop on a plane to enjoy the sweet tradition of Hanami. 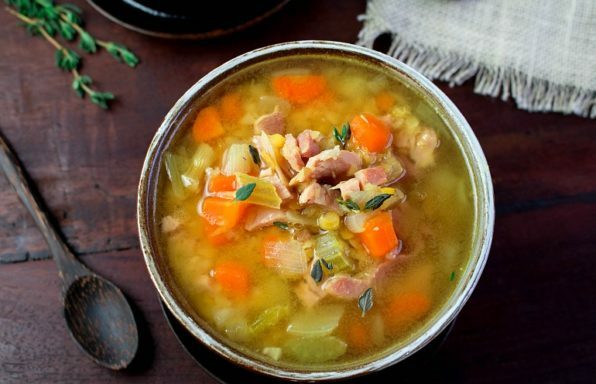 You can do this right in your own kitchen. In less than 30 minutes, you can have freshly Baked Matcha Lemon Glazed Donuts on your table for a delicious brunch or a midday treat. Did you know that you can improve your health by "Forest Bathing"? Don't be grabbing your shower gel and soap on a rope yet as it is not bathing in the literal sense. Scientist have found that when we go for a walk/hike, in green spaces with trees, grass and foliage, it has a positive effect on our mood. Our brains can forget about the negatives of life and think more about the positives. The Japanese call this practice "Shinrin-yoku". Right now it is peak sakura (cherry blossom) viewing season in Japan and our Baked Matcha Lemon Glazed Donuts are the perfect treat to enjoy this season and green spaces. 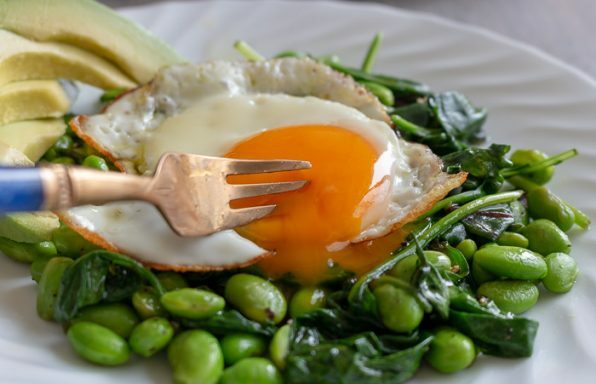 Are you ready to explore new culinary lands, eat healthy, save time, and take care of your dietary needs all while enjoying a delicious meal? Then, you have come to the right place. We want to thank all our readers for being patient during the change over. 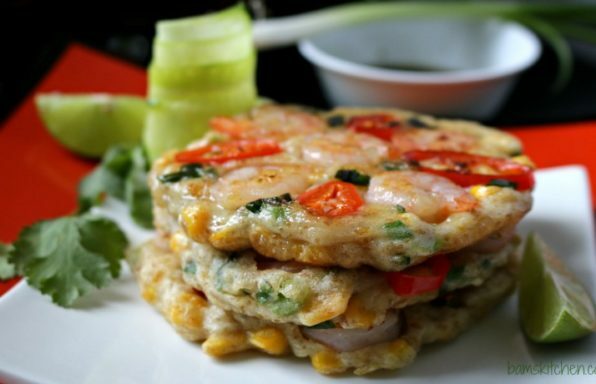 You can read more about the Healthy World Cuisine (HWC Magazine) mission HERE . In addition, we will be featuring new HEALTHY TIPS for HAPPINESS to help you stay on target for your health goals. 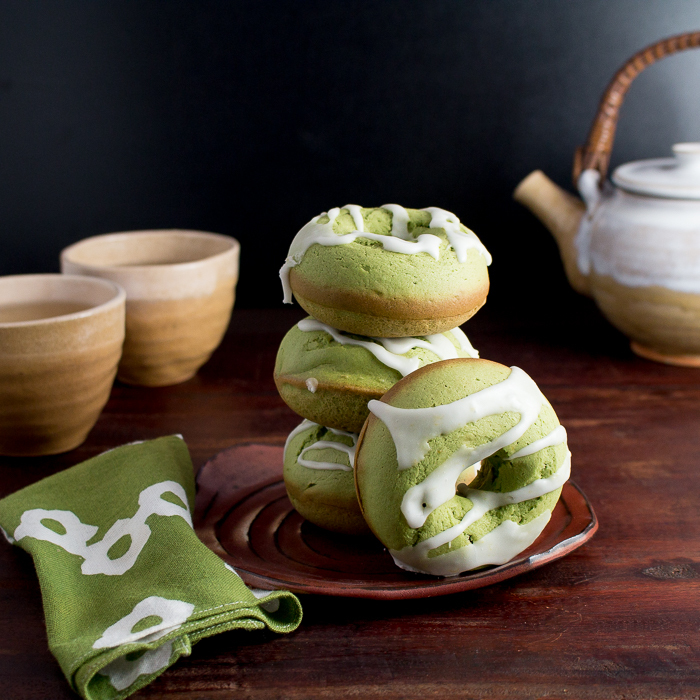 Baked Matcha Lemon Glazed Donuts are like taking a bite of spring with earthy taste of the green tea topped with a zesty citrus glaze. 4Add the eggs one at a time and mix well. Stir in baking powder, baking soda, matcha green tea powder, salt and vanilla just until everything mixed. 5Turn down your mixer and the flour a little bit at time and a little bit of the milk (dairy-free alternative) alternating between milk (dairy-free alternative) and flour just until all the flour and milk has been added. Do not over mix. 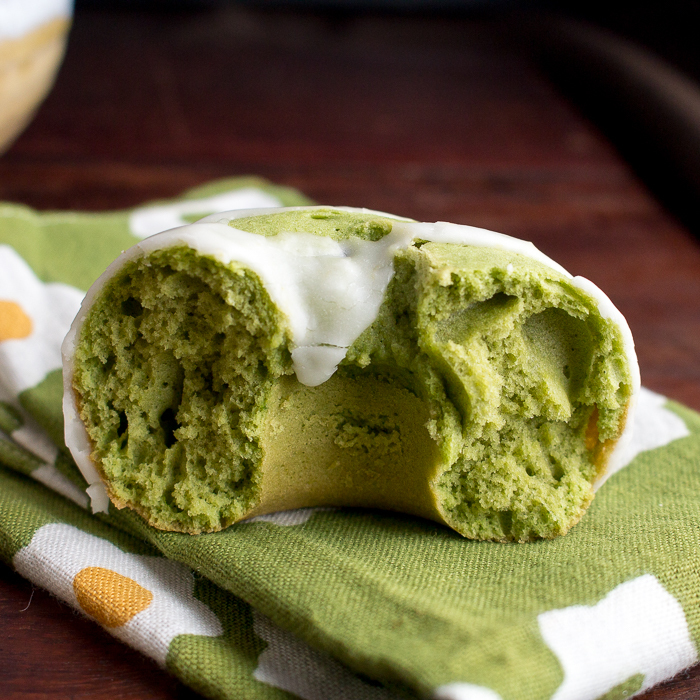 6Place matcha batter into a piping bag or Ziploc bag, cut about a ½ inch tip off the end. 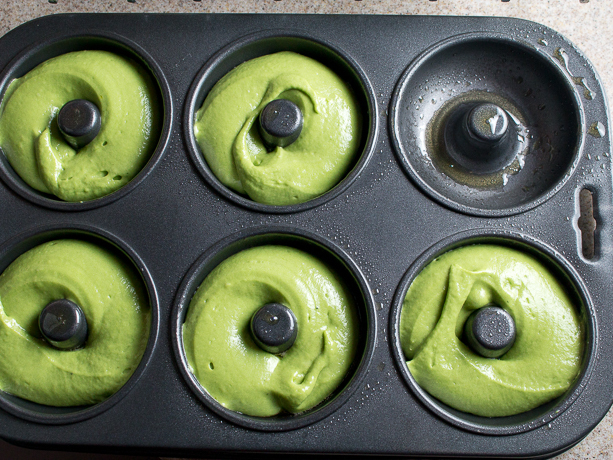 Pipe the matcha batter into the greased donut pan, leaving about a ¼ inch from the top. They will rise so do not overfill too much. 7Bake in oven for about 6-8 minutes. Start checking on them at 5-6 minutes mark and when the toothpick comes out clean they are done. Let the donuts rest for about 6 minutes in the donut pan. 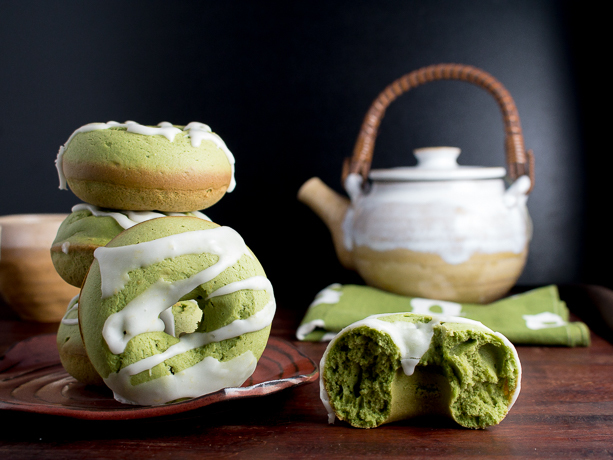 Carefully remove matcha donuts from the donut pan and cool on a wire rack. 8Make the lemon icing- in a medium bowl combine powdered sugar, lemon juice and zest and stir into well mixed. 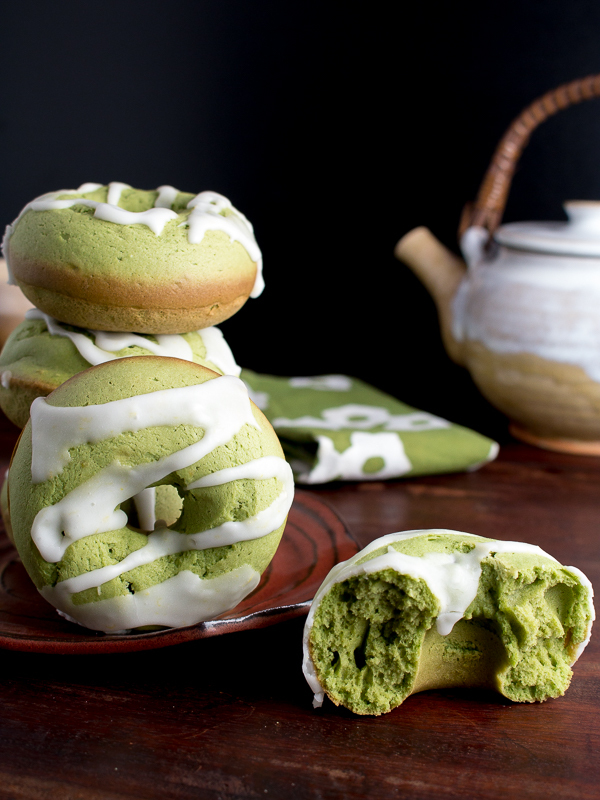 9Drizzle lemon glaze over the top of the cooled matcha donuts. Set aside for about 30 minutes until icing is dry. 10Enjoy! 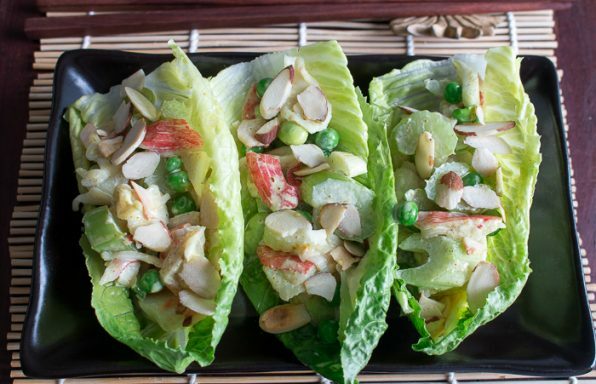 Can also be frozen in a sealed Tupperware for up to 3 months.